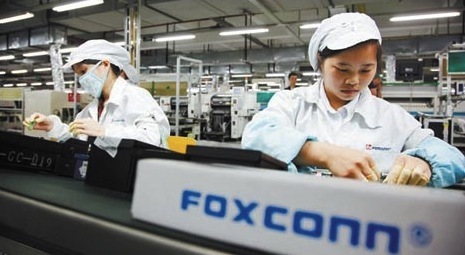 With Foxconn’s stock rasing to a record high $3.44 and rumors getting hot on the iPhone 5 and iPad 3, Foxconn has publicly planned to open five new factories in Brazil for producing Apple products. Foxconn currently manufactures almost 50% of the planet’s electronics, with Apple being its most best customer. The news was released publicly by São Paulo’s Secretary of Planning and Development of the State, Julio Semeghini. He stated that the five factories, which are in addition to the one already believed to be turning out iPads and iPhones, will each staff around 1,000 workers. With all of the rumors circulating about the iPhone 5, the rumor stating that the device is set to feature a new all-metal rear plate could become a reality since Foxconn has previously supplied such metal casings. That is one of the reasons the firm’s shares have reached a six-month high. The other, more notable reason, is that the sales of the iPhone and iPad have just been skyrocketing, and they don’t seem to be slowing down anytime soon.